If your Mazda has been in an accident, you can trust the experts at Gerry Gordon's Mazda in Winnipeg to get your vehicle back to perfect condition today. Our body shop has the expertise, tools, and know-how to get your Mazda back on its wheels in no time. Come in today and show us the damage. We give you a quick estimation, provide you with a timeframe for the repairs, and look to get you another vehicle while you wait for your Mazda to be repaired. 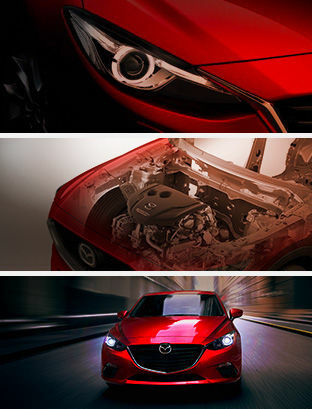 Our body experts have years of experience repairing Mazda vehicles, and they are more than happy to help you too. At Gerry Gordon's Mazda, we work hard to exceed our clients’ expectations, and that holds true for our body shop services as well. We work with our clients to get their car back in perfect condition and quickly. We repair dings, dents, and major damage. We also make those scratches go away and get your paint job back to perfect condition. Regardless of your needs, we have a Mazda body shop product for you, and we are here to help you. Come in today and speak with our body shop specialists.